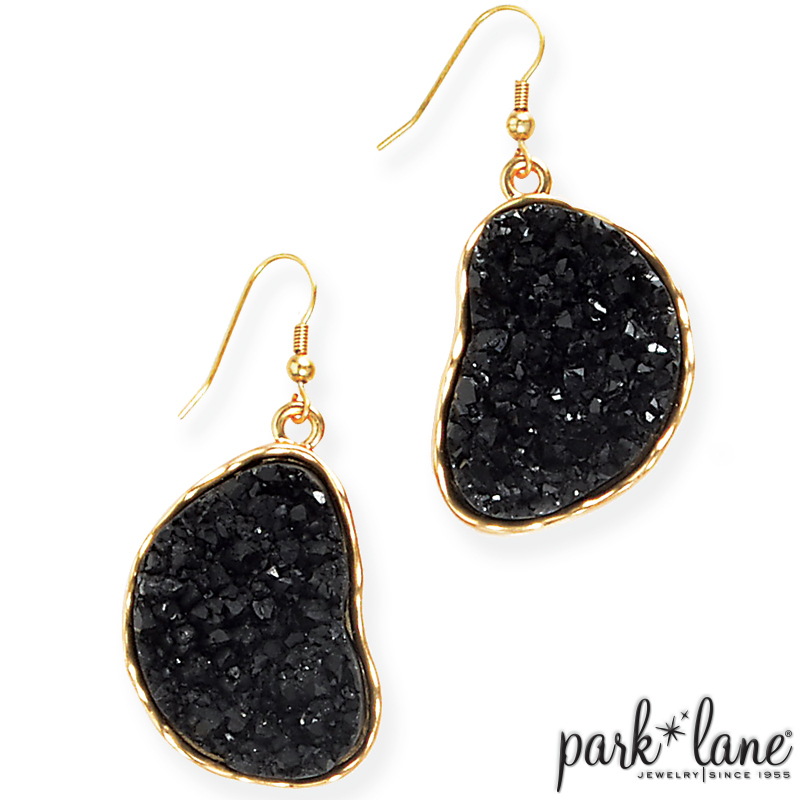 The coal black, rough-cut, simulated druzy gemstones look rich and rugged in their freeform matte gold settings. 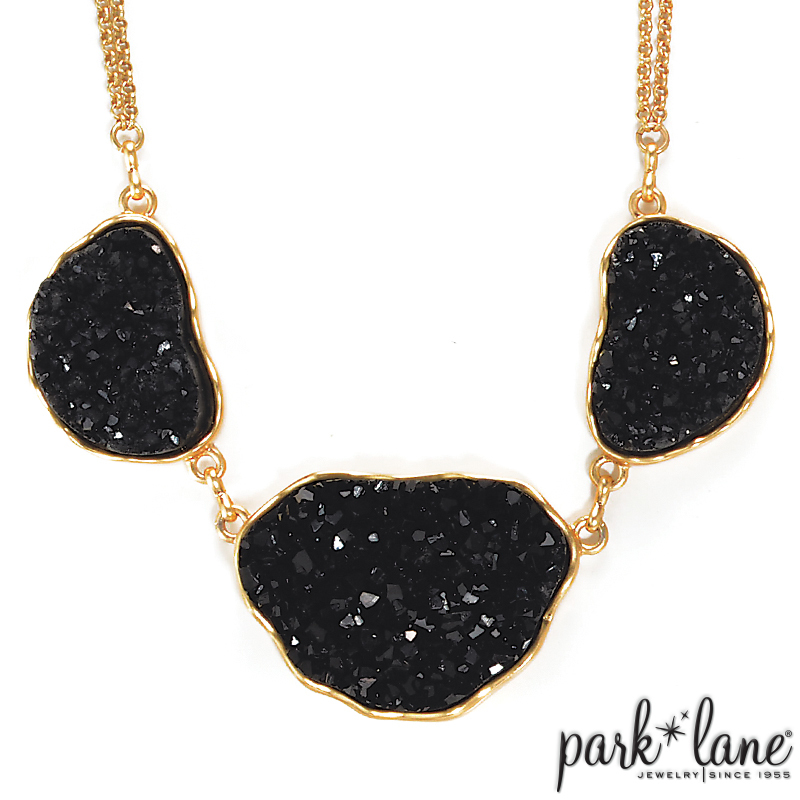 KONA necklace is suspended from a double-strand chain, the ring and earrings each feature a solo stone, and the sensational 6-stone bracelet stretches to fit the wrist! 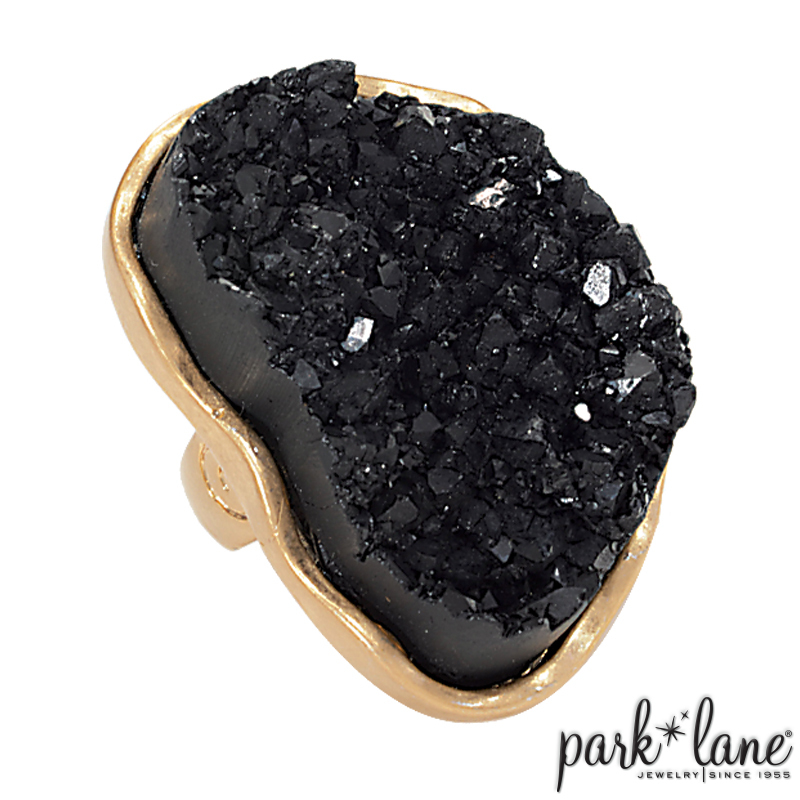 With the look of volcanic lava rock, expect Kona to cause an `eruption` of excitement among fashion-conscious women! Complements: Dolce necklace, Catwalk watch. Most all black/gold accessories.